What if someone you love doesn't have an advance directive? That's common, although the underlying reasons may differ. Basic barriers include thinking that an advance directive isn't needed, not wanting to think about death or serious illness, not wanting to burden people, not knowing enough about advance directives and health care choices, needing help to fill out the forms, and lack of time with the doctor to discuss the matter. A person's ethnic or cultural background can also be a barrier: minorities tend to be more suspicious of health care providers and resistant to talking about or completing advance directives. According to AARP, African Americans in home health care and nursing homes are half as likely as whites to have advance directives. To deal with this situation, try asking your loved one two simple questions, even if you think you know the answers. 1. 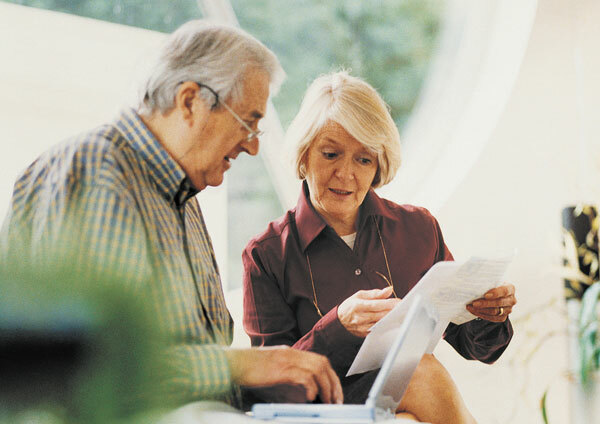 Do you have an advance directive? See if the responses offer clues for ways to help. Some people believe that writing advance directives is bad luck or think it means they no longer want medical care. As a first step, just focus on getting your loved one to name a health care agent. Point out that many health care decisions are made when people are temporarily unable to make their own decisions because of a treatable illness or injury. It is each individual's right to forgo advance care planning, but people need to know that in the American health system that means they will receive maximal medical care if they fall seriously or even terminally ill. The next step is to go a bit further. You might say you would feel better if you knew your loved one's wishes before any problems arise. Try: "I love you, and I wouldn't want to do anything you didn't agree with if you were ever unable to tell me what you wanted." Or, if the person "doesn't want to think about death," you can point out that you're really talking about quality of life near the end of life, not death, and promise to keep the conversation as brief as possible. If writing directives seems daunting, you could offer to help or to accompany the person on a visit to the doctor to discuss options. Or you might suggest making an audiotape of the person's wishes to give to the doctor. If you still meet with refusal, don't push the issue too much on that occasion. Changing behavior takes time and, often, many conversations. A study of people 65 and older, published in the Journal of the American Geriatrics Society, noted that filling out advance directives is a multistep process to which familiar stages of behavioral change apply: precontemplation, contemplation, preparation, action, and maintenance. Study participants were likely to be at one stage for one step in the process—let's say, the completion of a health care agent form—and a different stage for another step, such as communicating with loved ones or clinicians about views on quality of life versus quantity of life. Another study in the same journal observed that older adults who had made decisions for someone at the end of life or witnessed this situation were more likely to participate in advance care planning for themselves. Be willing to drop the subject of advance directives if your loved one gets angry or upset, but explain that you hope to discuss it another time. Then follow up. A news story or the experience of a relative or friend may provide the perfect opener. "Gee, here's what I'd want if that happened to me. What do you think you might want?" If you know your loved one's doctor or religious adviser, you can ask him or her for help. For more information on the best ways to communicate your healthcare preferences, buy "Advance Care Planning," a Special Health Report from Harvard Medical School.